the American Transportation Research Institute published its annual report of critical issues in the trucking industry. With data gathered from a total of 1,557 respondents across the United States, Canada, and Mexico, the results of this study represent motor carriers, commercial drivers, and other industry stakeholders. It compares most recent results with those from the prior year, indicating the changes and emerging priorities in the trucking industry. Throughout the past year, the industry has seen continued activity regarding legislation and regulation as well as several resolutions to varied challenges. For example, the Federal Motor Carrier Safety Administration mandated the use of electronic logging devices for commercial drivers who are required to document hours of service (HOS) records of duty status (RODS). What's more, HOS provisions were finalized by FMCSA, and a rule on Entry-Level Driver Training (ELDT) was implemented to mandate a knowledge and behind-the-wheel training program for new drivers. In addition to the industry changes above, other issues such as commercial driver and diesel technician shortages pervade and impact fleet operations throughout North America. Among commercial drivers, the ELD mandate won the first position as the top concern among respondents asked to rank their issues based on level of importance. The top ten issues by both commercial drivers and motor carries are shown in the chart below. Source: American Transportation Research Institute. Rankings fell markedly different among motor carrier respondents: perhaps not to the surprise of many, driver shortages were reported as the top concern. This difference of opinion is likely due to the nature of potential benefit to commercial drivers, as financial benefits may be achieved by existing drivers in the form of driver wage and benefit increases. The ELD mandate fell in second place as the most important industry issue followed by (HOS) rules. 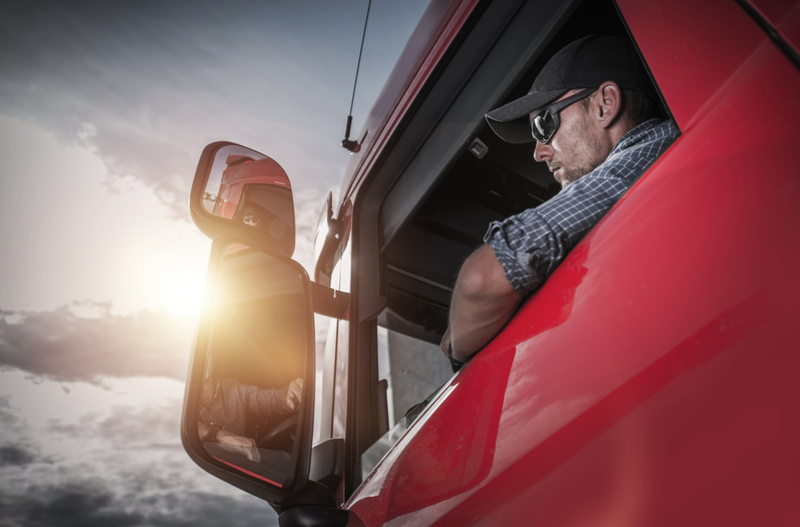 Driver retention advanced three places within the past year to become the fourth-biggest industry issue, and other points of concern such as driver wellness and compliance, safety, and accountability (CSA) also made the list. To access the full article and read more about how this portion of the study was done, click here. Of the issues presented in the survey, 21% of respondents indicated the industry-wide driver shortage as their most prominent challenge for the first time since 2006. As the economic outlook for trucking continues to appear positive, the urgency of the issue largely stems from the concern of too low a supply of qualified drivers with an increasing demand for them. 1) Advocate for state and federal authorities to develop a graduated CDL program to attract safe younger drivers to the industry. According to the study: "a demographic analysis conducted by ATRI in 2014 showed that more than one in four truck drivers are 55 years and older. To combat the pending wave of driver retirements, 60 percent of respondents indicated that the industry must work with state and federal authorities to attract a new generation of qualified drivers to the industry." 2) Partner with the U.S. Department of Labor to formalize a national truck driver recruitment program. In order to maintain the existing workforce, approximately 890,000 drivers must be hired within the next decade; in turn, 24% of respondents agreed that developing a national recruitment program would be vital to meet workforce needs. 3) Work with the U.S. Department of Transportation and the Department of Defense to equalize and streamline licensing requirements between DOT and DOD. Due to the imminence of the driver shortage issue, many constituents are turning to the U.S. Department of Transportation for guidance on licensing requirements. This suggestion is largely intended to remove barriers of entry to potential truck drivers and reduce complexity of obtaining a Commercial Driver's License (CDL). 1) The economy. Once a prominent issue during the Great Recession in 2008, the trucking industry has dropped the economy as a top-10 point of concern. Steady national and global economic growth account for this drop and the issue may continue to lessen in importance throughout 2018. 2) Autonomous vehicles. As these vehicles continue to be tested on the road with increasing frequency, 2017 is the first year autonomous vehicles made the list as a point of concern for the industry. With the impending increase of attention among industry stakeholders, this issue will likely be found in the top 10 in years to come. 3) Diesel technician shortage. With driver shortages cited as the #1 concern among motor carriers, technicians are not to be overlooked; the trucking industry will also require 67,000 technician hires to keep up with the increasing demand for drivers. As noted within the study, a proposed solution by survey respondents is "to improve technician training and placement through greater collaboration between motor carriers, community colleges, and tech schools." To access the full article and read more about industry constituent data and proposed suggestions, click here. What do you think? Share this article by clicking the social icons below. Subscribe to our bimonthly blog by clicking here.